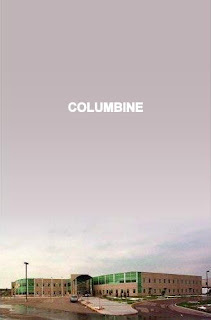 I'm just about finished reading "Columbine" by Dave Cullen - as gripping, well-researched and reported as a true-crime novel gets. What makes this book so powerful is that much of what's widely accepted as "true" about the Columbine killings, the victims, and the shooters is actually based on conjecture, urban legend, and people's need to make sense out of something senseless. Cullen corrects the record, and the story is no less harrowing for it. The big picture: in April 1999, Eric Harris and Dylan Klebold killed 12 students and one teacher, and injured 25 more, at Columbine High School in Colorado. Shortly after the slaughter began, the two took their own lives. Controversially, it would take much longer for police to enter the school and get control of the situation, and even longer to understand exactly what happened. In fact, until this book, the killings have never been fully or accurately explained anywhere. Cullen digs deep into the minds of the killers, meticulously walks us through the terrible events, lays bare an astounding number of lost details, and clears up the myths that arose from the tragedy. According to Cullen, Columbine wasn't about two, outcast Goths getting vengeance on jocks, as has been reported and is still widely believed. It was actually about a psychopath (Harris) exacting control over a depressed, suicidal teenager (Klebold). Harris' plan was to blow up the school; the bombs would go off, and he and Klebold would shoot survivors coming out of the school. When the bombs didn't go off, Harris collected Klebold (they were standing outside at a 90 degree angle to one another in standard military formation) and they began shooting students at random as they walked back into the school. After the shooting started, the school's alarm and sprinkler systems went off, making it much more difficult, psychologically and physically, for the SWAT team to track down survivors. No one had the code to shut off the alarm - the assistant principal was too stressed out to remember it - and the SWAT team tried to smash it with their guns, but to no avail. The strobe lights, apparently, flashed for weeks. Areas of the school were flooded with three inches of water, further complicating the evacuation. Most controversially, Cullen reports that "the girl who said Yes" actually didn't say anything. After the killings, it was widely reported that one of the murdered students, Cas­sie Bernall, was asked by one of the killers if she believed in God. “Yes,” she apparently said, before she was killed. Cullen says that a 911 tape from that day and eyewitness testimony proves that this, in fact, didn't happen. Another student, Val Schnurr, has a similar story that's been corroborated by witnesses. But Val lived. And "the bigger Cassie's fame grew, the more Val was rejected." As Jennifer Senior in the New York Times Book Review says in her review, the book is also "an excellent work of media criticism." It's really a must-read for students enrolled in a communications or media course. The massacre played itself out on live TV, as students with cell phones deluged 911 operators and, failing to get through there, called CNN. Some of the students inside the school watched CNN while the attacks took place, confusing the situation and making investigators' jobs more difficult later on. "Journalists were not relying exclusively on "students." The entire industry was depending on the Denver Post. The paper sent fifty-four reporters, eight photographers, and five artists into the field. Day one, they were hours ahead of the national pack. It did not single-handedly create any of the myths, but as the Post bought into one after another after another, each mistaken conclusion felt safe. The pack followed." It's ironic that "hard- boiled, cynical journalists" are often the first to believe a story that's too good to be true. Eventually, "the story" becomes more important than "the reporting," and the repetition of the story, even in absence of real evidence, makes it become "the truth." Cullen's exploration of what happened in the aftermath is as depressing as it is predictable: the public grief, the desire to blame someone or something (the killers' parents? Marilyn Manson? Satan? Trench coats? ), the appearance of evangelical pastors trying to cash in on the tragedy (Jesus Jesus Jesus), lawsuits, arguments over memorials, and - yes - bus tours. The key strength of the book is "perspective." We not only learn about what went on in the minds of the killers, but we witness the difficult healing of Patrick Ireland ("the boy in the window"), teacher Dave Sanders' slow death (which may have been prevented), and FBI special agent Dwayne Fuselier's obsessive study of the killers (he's "the hero" of the book). The most important question, "Why?" is asked one way or another throughout the book. There are numerous possibilities, but there's still no one, clear answer. Sobering and scary.